Tea towel for sale on ebay. In December, the Royal Household announced that there would be no official tea towel to celebrate the marriage of Prince William and Catherine Middleton. Say what! Yes, as some of you may know, this is kind of a big deal as having an official tea towel is a Royal Wedding tradition that dates back to the Queen's own wedding in 1947. Items such as mugs, plates, biscuit tins and porcelain pill pots were considered suitable and long-lasting. Tea towels, aprons, T-shirts and cushions were said the be "in poor tatste" and would not receive the official seal of approval. But don't fret! 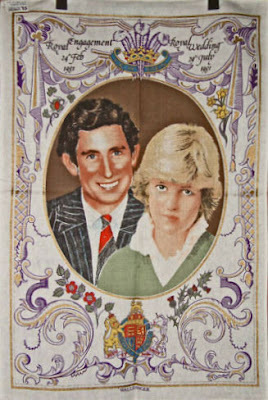 On Jan. 10th the Royal Collection announced that there WILL be an official tea towel. Although, it won't be anything as great as the past tea towels. It will be a plain white, linen towel with the initials of William and Catherine, along with the prince's coronet. 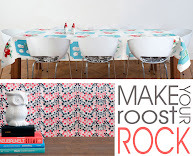 See the china set below which bears the same design the tea towel will have. They say the tea towel will sell for about $12, wonder how hard it would be to get my hands on one of those bad boys. I find that tea towel really funny. I'm having a hard time resisting the urge to bid on it...but my husband would probably make fun of me for life if I got it. Lol! I say go for it! Tell him it would be a memorable Valentine's Day gift. If you search for Royal Wedding tea towels, quite a few come up and are pretty comical...I guess we know why they have decided to go with an all white linen one this time, William and Kate must have class! When you get your hands on one will you tell me when and where bc I want one too!!!!!!!!!!!!!!! !